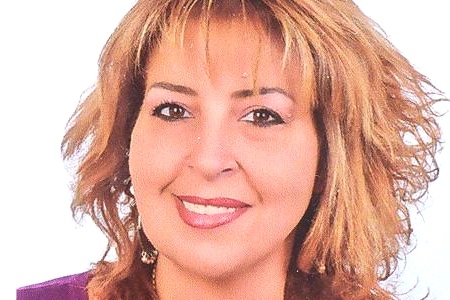 Born in 1967, Bitar received her Bachelor degree in English Literature and Translation from Bethlehem University, and then she received her M.A. degree in English/American Literature at the Catholic University of America. She started her professional career as a teacher of English language at Bethlehem University. Then acted as the Business Manager of The Jerusalem Times weekly newspaper. In 1999 Bitar founded and acted as the Director General of the Palestinian Youth Association for Leadership and Rights Activation (PYALARA). PYALARA’s mission is to activate and empower young Palestinians and equip them with the necessary skills, information and techniques that would enable them to address their issues, needs and rights and thus contribute towards democratic nation building. PYLARA´s main activities are grouped into three programs: the development and production of specialized youth media (youth newspaper and TV programs), projects which advance the well-being of Palestinian youth by focusing on the peer-to-peer approach and the third program focuses on youth development of regional and international communication networks with their peers to activate intercultural dialogue and build interactive channels of communication. In 2005, Bitar founded along with a number of Women Leaders, the International Women’s Commission for a Just and Sustainable Palestinian-Israeli Peace. Currently she serves as a member of the board of trustees of the Arab-American University in Jenin; the Vice-President of the Democracy and Workers’ Rights Center; is Member of the board of Trustees of Miftah and FATEN, board member of the Women’s Center for Legal Aid and Counseling and a member of the civil society consultancy group for UN women. Bitar was nominated as “Global Leader for Tomorrow” and “Young Arab Leader”. She is the author of several articles and a keynote speaker at a number of international conferences.